"I won't talk! I won't say a word!" Which is what The Artist presents to modern audiences. This French romantic comedy drama in the style of a black-and-white silent film directed by Michel Hazanavicius, The story takes place in Hollywood, between 1927 and 1932, and focuses on the relationship of an older silent film star and a rising young actress, as silent cinema falls out of fashion and is replaced by the talkies. The film stars Jean Dujardin as George Valentin and Bérénice Bejo as Peppy Miller. Dujardin gave an astounding performance that is reminiscent of a real life silent film actor - Lon Chaney, Sr. Chaney was a famous silent film actor, he is regarded as one of the most versatile and powerful actors of early cinema, renowned for his characterizations of tortured, often grotesque and afflicted characters, and his groundbreaking artistry with makeup. Chaney is known for his starring roles in such silent horror films as The Hunchback of Notre Dame and The Phantom of the Opera. His ability to transform himself using makeup techniques he developed earned him the nickname "The Man of a Thousand Faces." Sadly his career was also ended by the talkies, the silent cinema and his career died with him. Bejo also gave an astounding performance as the young, perky Peppy Miller, like Dujardin’s performance, her performance was reminiscent of a famous actresses - Greta Garbo. Garbo was a Swedish film actress. Garbo was an international star and icon during Hollywood's silent and classic periods. Many of Garbo's films were sensational hits, and all but three of her twenty-four Hollywood films were profitable. Garbo was nominated four times for an Academy Award and received an honorary one in 1954 for her "luminous and unforgettable screen performances". In 1999, the American Film Institute ranked Garbo fifth on their list of greatest female stars of all time, after Katharine Hepburn, Bette Davis, Audrey Hepburn, and Ingrid Bergman. Just like Miller, Garbo launched her career with a leading role in the 1924 Swedish silent film The Saga of Gosta Berling. Her performance caught the attention of Louis B. Mayer, chief executive of Metro Goldwyn Mayer (MGM), who brought her to Hollywood in 1925. She immediately stirred interest with her first silent film, Torrent, released in 1926; a year later, her performance in Flesh and the Devil, her third movie, made her an international superstar. With her first talking film, Anna Christie (1930), she received an Academy Award nomination. In 1941, she retired after appearing in twenty-seven films. Although she was offered many opportunities to return to the screen, she declined most of them. Instead, she lived a private life, shunning publicity. 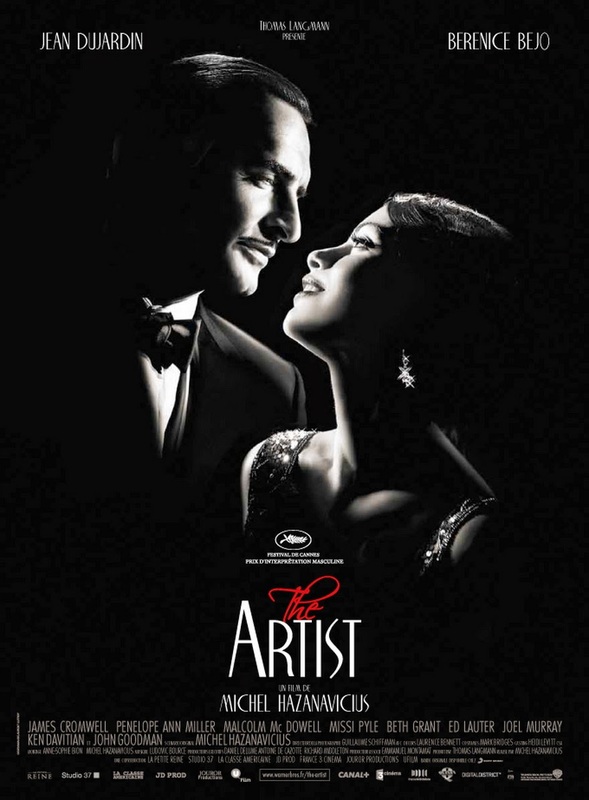 The Artist is a real pleasure; propelled elegantly forward by delightful performances from Jean Dujardin and Bérénice Bejo it is the most unlikely of feel-good movies. It subconsciously provides commentary on today’s cinema, about the fact that it is bombarded with horrible, ugly and bombastic sounds and we have forgotten how movies really used to sound. With this film, just sit back and enjoy the visuals. "Not all heroes are super." Which is what Chronicle brings to the genre. This found footage superhero science fiction thriller film directed by Josh Trank in his directorial debut, and written by Max Landis based on a story by both. 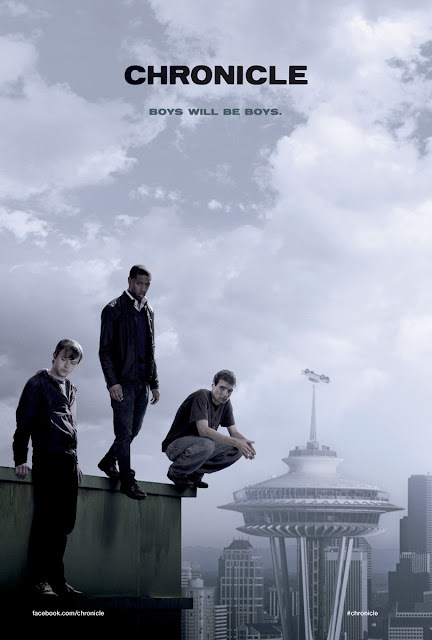 It follows three Seattle high school seniors, bullied Andrew, his cousin Matt and more popular Steve, who form a bond after gaining telekinetic powers from an unknown object. They first use their abilities for mischief and personal gain until Andrew turns to darker purposes. The film is visually presented as found footage filmed from the perspective of various video recording devices. It primarily uses Andrew's hand-held camcorder to document the events of his life. The film is written by Fear Itself writer Max Landis, from a story by him and Trank. Trank cited the films Akira (1988), Carrie (1976) and The Fury (1978) as influences on the film. The screenplay was featured in the 2010 Blacklist; a list of the "most liked" unmade scripts of the year. On a budget of $12 million, the film was shot primarily in Cape Town, South Africa with Film Afrika Worldwide, as well in Vancouver, Canada. Filming started in May 2011 and continued for eighteen weeks, ending in August 2011. Because the production took place mostly in South Africa, American vehicles had to be shipped in for the production for the film's climatic fight scene. he film used the Arri Alexa video camera and and Angenieux Optimo and Cook s4 lenses to shoot the movie. Post Production techniques were used to give it a "found footage" look. To simulate Andrew's telekinetic camera angles, a cable cam rig was built to create the illusion of his camera levitating 120 feet into the air. The Arri Alexa camera was mounted on a skateboard to simulate Andrew's camera sliding across a floor. Stuntmen were suspended from crane wire rigs for flying scenes, with green screen special effects used for closeups of the actors. The film stars Dane DeHaan, Alex Russell and Michael B. Jordan. The trio gave fine performances and each brought their unique flavours to the story. And each had their own emotional depth and bought realism to characters that would be normally one-dimensional of this genre. You also genuinely felt that these three are friends their chemistry was top-notch. Trank made DeHaan, Jordan, and Russell live in a house together for 15 days in order to create a genuine bond between the three. A sort of Blair Witch Project crossed with superheroes, Chronicle is economically paced, stylistically clever, and filled with excitement. It is the most intense and original superhero feature I've seen in my moviegoing life, a pure-blood, grade A, exhilarating superhero movie. Trank's direction is whip-smart and stylistically invisible. This film presents the nearly subconscious evocation of our current paranoid, terror-phobic times. The key to the film's success is that telling the story through the lens of one character's camera and it works fantastically well. Surreptitiously subversive, a stylistically clever little gem. All in all, it is an effective film, deploying its special effects well and never breaking the illusion that it is all happening as we see it. It is an old-fashioned superhero movie dressed up in trendy new threads, with seamless special effects and a nihilistic attitude. "There's a mole, right at the top of the Circus. And he's been there for years." This is the premise of this adaption of Tinker Tailor Soldier Spy. This British espionage film directed by Tomas Alfredson, adapted by Bridget O'Connor and Peter Straughan based on the 1974 novel of the same name by John le Carré. Set in London in the early 1970s, the story follows the hunt for a Soviet double agent at the top of the British secret service. The project began when Peter Morgan wrote a draft of the screenplay, which he offered to Working Title Films to produce. Morgan dropped out as the writer owing to personal reasons, but still served as an executive producer. Following Morgan's departure, Working Title hired Peter Straughan and his wife, Bridget O'Connor, to rewrite the script. Park Chan-wook (Oldboy (2003)) considered directing the film, but ultimately turned it down. Tomas Alfredson (Let the Right One In (2009)) was confirmed to direct on 9 July 2009. This marked the production as English language film debut. With a budget of $21 million, financially backed by France’s StudioCanal, principal photography began on October 7th 2010 and concluded on December 22nd in England. The film stars Gary Oldman as George Smiley, and co-stars Colin Firth, Tom Hardy, John Hurt, Toby Jones, Mark Strong, Benedict Cumberbatch and Ciarán Hinds. Though the cast gave their best performances that they could offer, it felt rather stale and inferior to performances seen in other espionage spy thrillers such as the James Bond/007 films. Ultimately, it did not live up to the characters who filled this unique story by le Carré. The only performance that stood out the most was none other than George Smiley himself, Gary Oldman. Alfredson cast Gary Oldman in the role of Smiley, and described the actor as having "a great face" and "the quiet intensity and intelligence that's needed". Many actors were connected to the other roles at various points, but only days before filming started, Oldman was still the only lead actor who officially had been contracted. Originally, David Thewlis was in talks but declined. Oldman understood the illusion of being a nondescript sort of man with a remarkable mind, authority and a gutful of secrets, sorrows and sins behind the serious spectacles. His performance definitely deserves, at least, an Oscar nomination. 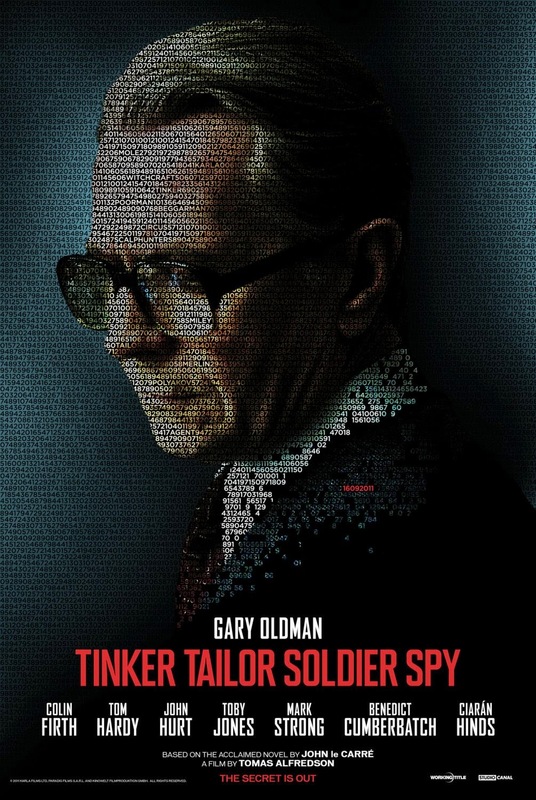 Grim, monotonous, and rather facile, though Gary Oldman's aging agent, Tinker Tailor Soldier Spy has some honest poignancy. The film is Self-consciously dour where the James Bond movies were insouciantly callous. However, it is an excellent contemporary espionage drama of the Cold War, which achieves solid impact via emphasis on human values, total absence of mechanical spy gimmickry, and perfectly controlled underplaying. The film makes you believe it could have happened. And that's the remarkable thing. Not one of the best espionage thrillers ever made, but it is certainly not the worst.